I have a ghost preteen living alone. I want to change her surname. The usual technique of making an adult sim with the correct surname and inviting the other to move in doesn't seem to work with preteens. Is there any other way I can do it without deleting her and starting again? Have you tried having someone adopt her? You could add a temporary sim with the correct surname, move them into the house, have them adopt the preteen and then delete the sim. Not sure if the preteen's name will change, though. What about having an adult sim move in, use 12LPs to change their surname to the correct name? I just tested that with a family and changing the adult's surname also changed the preteen's last name. The pop up said changing the adult's name would also change the name for everyone in the household. So I would think it should work even if the adult and preteen aren't related. If you have room for a temporary sim I would try that method first (unless someone posts that it doesn't work!) and then if that fails try the LP method. I've made the temporary sim with the correct surname but I cant get the option to adopt despite getting them to best friends. Christina wrote: I've made the temporary sim with the correct surname but I cant get the option to adopt despite getting them to best friends. The adoption doesn't show up, if one of the parents is still living in your town. In my game the relationships don't show up at the tracker, either. But if I have a preteen active and then tap the mom, it's shown at the top of the social interactions menue. Grace is Sandya's mom, Nell is her sister. Yes, the ultimate make over won't let you change a preteens last name. That's why I suggested moving an adult sim into the house and paying 12LP to change the adult's last name. Changing the last name of an adult is supposed to change the last name of everyone in the same household. Unfortunately I cant move anyone into the house or her in with anyone else, so i guess she must have a parent somewhere. I will have to take her on a tour round town to work out who it is! I am pretty sure I removed dad as thats how she is "home alone", and warewolves are generally hard to miss, so I just need to work out who I remarried mum to. Oh, I thought when you said that the usual technique of having an adult sim move in to change the name didn't work that you meant the adult moved in but for some reason the preteen's name didn't change not that you couldn't even move an adult in. Good luck finding the future Moaning Myrtle's mom! What about having an adult sim move in, use 12LPs to change their surname to the correct name? I just tested that with a family and changing the adult's surname also changed the preteen's last name. The pop up said changing the adult's name would also change the name for everyone in the household. So I would think it should work even if the adult and preteen aren't related. I know this is an old thread but it seems the problem of abandoned and orphaned children (toddlers and preteens) is still an issue. I have a preteen living alone who wants to move back in with her divorced mom (both parents are still alive). I was just wondering if you know of a way to get an adult Sim to move in with a preteen or if you were just suggesting the O.P. give it a try to see if it works. 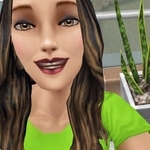 I might have to delete the preteen and recreate her but that's a last resort since I have this weird need to have all my age groups together in the Sims tracker. I'd have to get rid of all the preteens, toddlers and babies that come after her, too. BTW, the only time I tried to use LPs to change a whole family's surname, it didn't change the teenager's. I'm not sure why but maybe it was because she wasn't at home with the parents when I did it. It could be a fun "mistake" if you're trying to get people with different last names to live together, I guess.